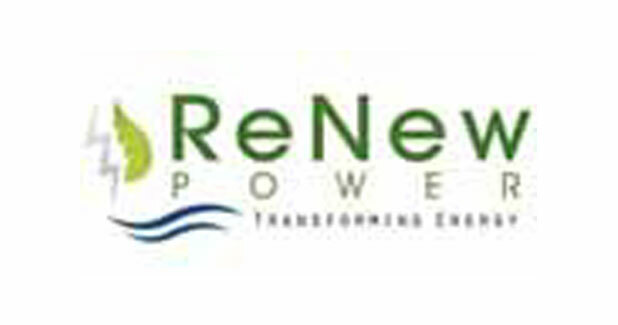 ReNew Power Ventures Pvt Ltd is an Independent Power Producer (IPP) of clean energy with more than 3,000 MW of commissioned and under-construction clean energy assets. Of this close to 1,200 MW of assets are already commissioned. Currently, it operates in nine states (Gujarat, Haryana, Madhya Pradesh, Rajasthan, Maharashtra, Karnataka, Telangana, Jharkhand and Andhra Pradesh) across the country. Additionally, it has a development pipeline of close to 1,800 MW solar, wind and distributed solar projects. 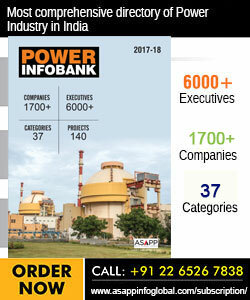 Committed to leading a change in the country´s current energy portfolio by delivering cleaner and smarter energy choices and thereby reducing India´s carbon footprint, ReNew Power´s mission is to play a pivotal role in meeting India´s growing energy needs in an efficient, sustainable and socially responsible manner. ReNew Power is backed by marquee investors such as Goldman Sachs, Abu Dhabi Investment Authority, Asian Development Bank, and Global Environment Fund. So far, ReNew Power has raised a total equity of $650 million. The company currently has an asset base of more than $2 billion. ReNew Power is the only company with a strong foothold in wind, solar ground mounted and solar rooftop segments in India´s renewable energy space. It has more than doubled from last year´s installed capacity of 544 MW to more than 1, 200 MW this year. The company is well capitalised to execute the project pipeline for next two-three years. While many players have gone out due to high debts in this capital intensive sector, ReNew Power has been prudent in selecting the quality and margins of projects. The company has been constantly innovating and as result some of our technologies like, hybrid wind turbine, trackers for solar panels and our monitoring system are the latest in the market. We have the latest technology to monitor our projects real time. After installation, performance is the most important part. With real time monitoring system, ReNew Power is able to track the performance and also predict faults beforehand based on the previous pattern of different machines. The company has a highly skilled and effective management team, with a total strength of over 380 employees. ReNew Power has the largest portfolio of commissioned (1,200 MW) and in construction assets (1,800 MW) in the clean energy space in India, with a leading presence in solar and wind. It is the highest capitalised renewable energy company in the country. It is the largest capital raiser in debt markets in the renewable energy IPP sector in the last 4 years with over Rs.10,000 crore of debt sanctions. It is the first India renewable energy company to raise debt financing from the Overseas Private Investment Corporation (OPIC). 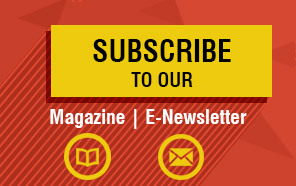 It issued India´s first credit enhanced bonds with IIFCL in the infrastructure sector. In September 2015, ReNew Power installed and commissioned India´s tallest wind tower of 120 m height, installed for the first time anywhere on-shore in the world. Since its inception in FY12, ReNew Power has a market share of more than 10 per cent of total installed wind capacity in the country. All projects are UNFCCC registered.